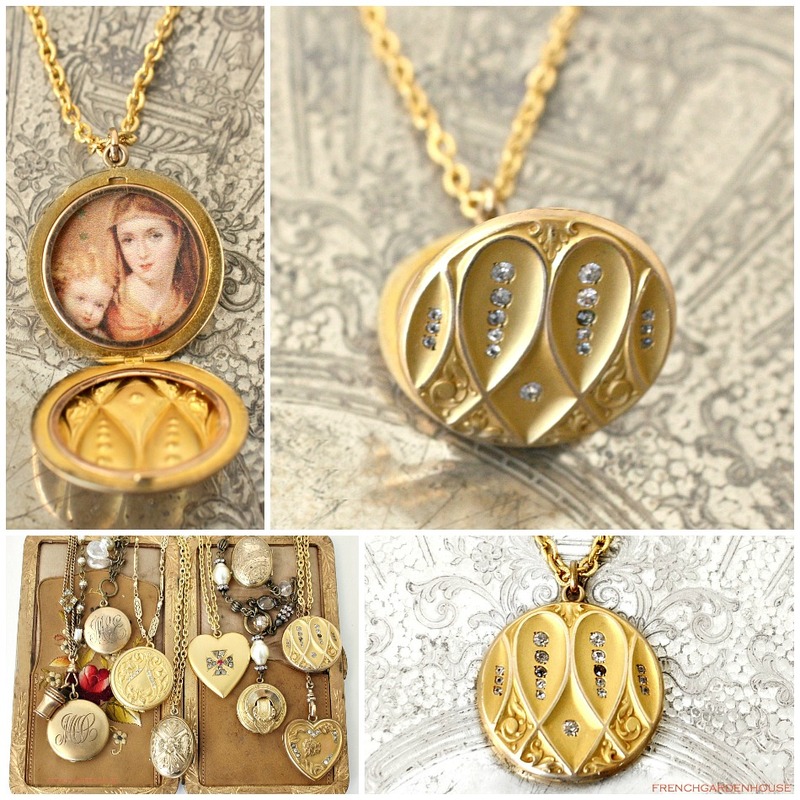 Entralling Antique Art Nouveau Locket to capture your imagination. 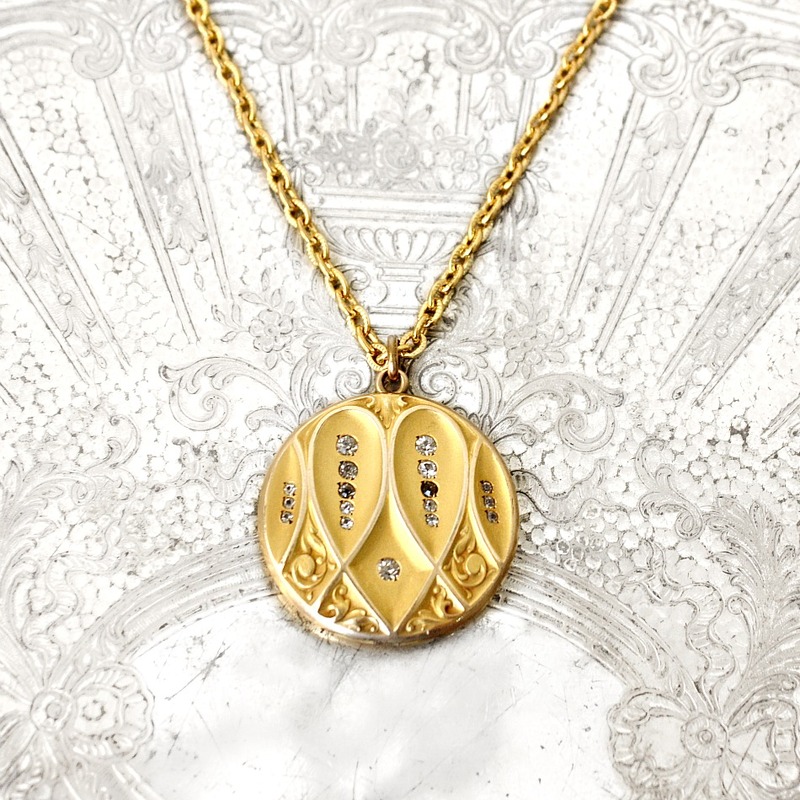 This sophisticated locket has a stunning heart shaped design set with paste stones. Made by Carter, Qvarnstrom & Remington of Attleboro, MA, jewelers of high quality lockets from 1889 on, this locket dates to the early 1900's. 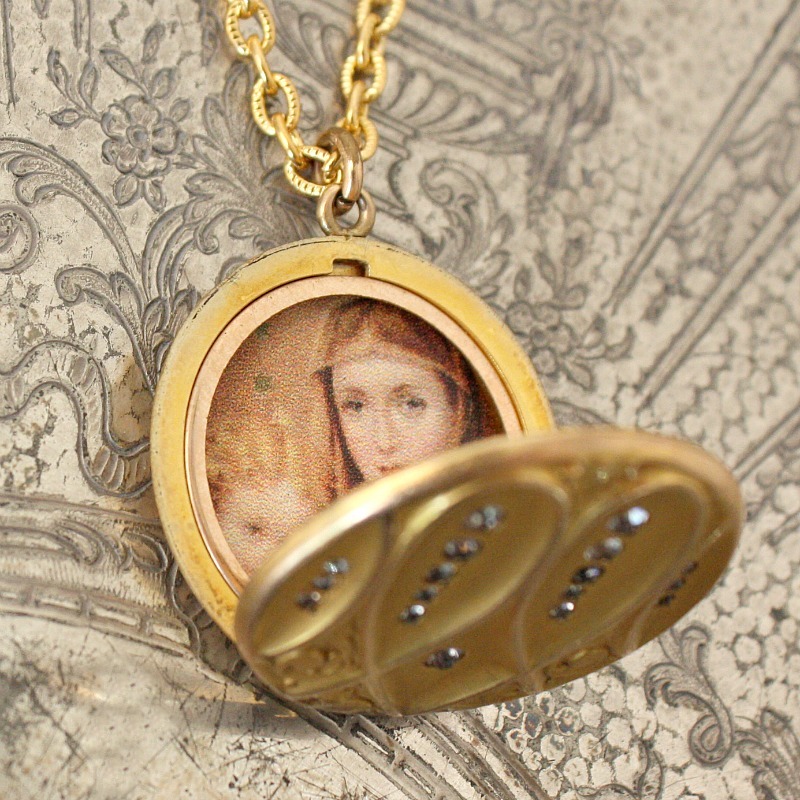 Marked on the inside C Q & R, the locket has the original metal insert to hold a photograph of someone dear to your heart. 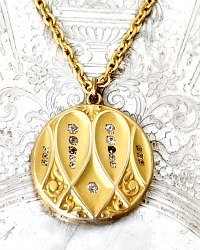 An exceptional locket for your jewelry collection, or to give as a luxury gift. 12k gold fill. Comes with a gold plated chain. Measures: 1~1/8"; Chain: 24"- we can shorten the chain should you wish.